The versatile design of the Menorcan women's avarca has become the must-have fashion accessory and the everyday-all occasion footwear. Their casual design fit in wherever your lifestyle takes you. 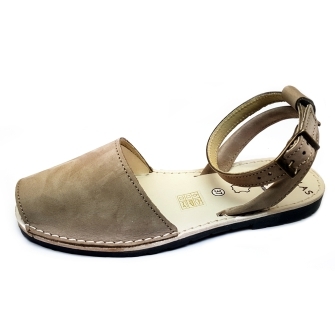 Handmade in Spain with top quality materials, such as natural leather on the upper and lightweight rubber molds on the sole, making the avarca a trendy nd functional sandal.